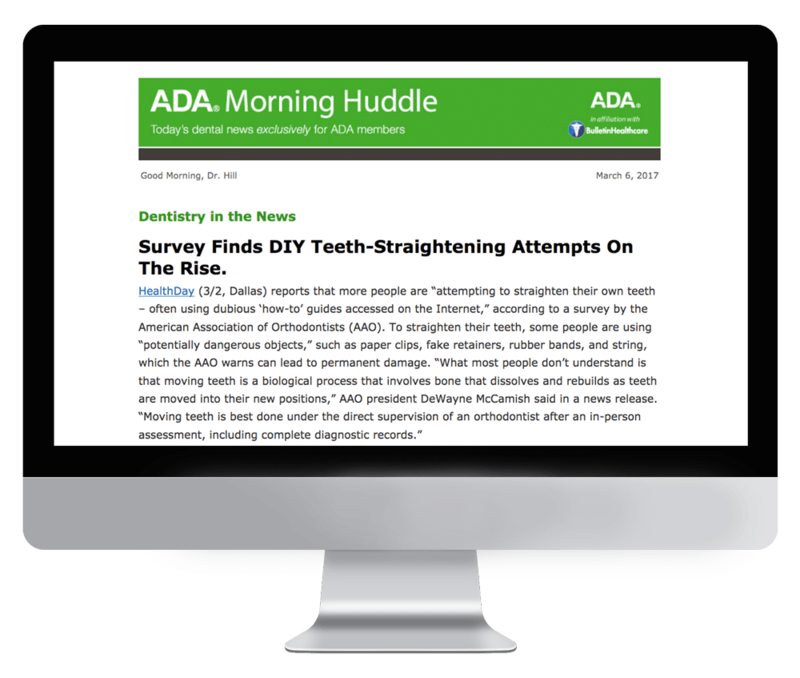 ADA Morning Huddle is an exclusive member benefit of the American Dental Association (ADA) that keeps readers up to date on the latest news affecting dentists. ADA Morning Huddle contains seven sections: Dentistry In The News, Dental Benefits, Health And Safety, Dental Industry, ADA In The News, and Charitable Dentistry. The ADA was founded in 1859 and its morning briefing helps continue its tradition of excellence. Subscription to ADA Morning Huddle is exclusively limited to ADA members. If you are a member of ADA and would like to receive this briefing, please reach out to the association directly.